The Most Fun FREE Nonprofit Tool Ever!!!! Create Your Own Word Cloud at Tagxedo. Today I found what might be my favorite tool ever…Tagxedo. It is a really simple and free tool that allows you to turn speeches, news articles, slogans and themes — into a visually stunning word cloud, words individually sized appropriately to highlight the frequencies of occurrence within the body of text. This is a great way for nonprofits to get graphics for programs, events, facebook, or just about anything else you can think of. 2. Type in your web address. 3. Click on the arrows on the to change the color, theme, shape, or anything else you want to change. Take-away: Well, obviously…have fun creating your very own word cloud! Facebook is officially unveiling hashtags to its platform. 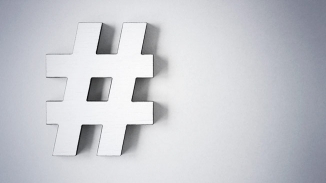 Hashtags, which are hugely popular on Twitter should theoretically make the social media giant more conversational and could have significant search engine optimization implications. So, how can your nonprofit benefit from this feature? 1.Discussion: Today hashtags are used to facilitate online discussion. For example #4changesa uses the hashtag to create conversations about changing the world by giving others the chance to change theirs. Political groups use hashtags to broadly communicate policy. Many groups are even using guides to direct followers with “tweeting” points for advocates to use. 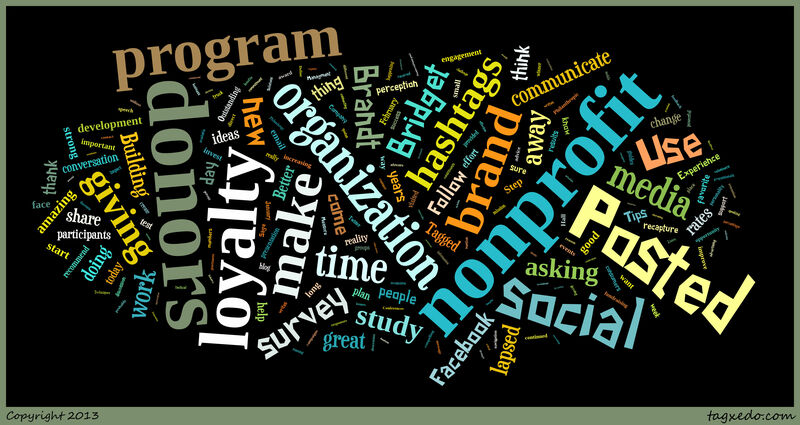 By adding these same hashtags to Facebook nonprofits have the opportunity to broaden that conversation and help advocates find relevant and important public conversation. 2. Conferences/Events: Hashtags can be used to promote events and event discussion. They also make it easy for participants to follow the conversation thread and participate whether they are present or just following the conversation from another location. 3. Advertising: You can add hashtags you are already using in advertising campaigns to Facebook to amplify these campaigns. Facebook said hashtags are now available to a small percentage of consumers and businesses, while it intends to roll them out more widely in the coming weeks. Take-away: Start adding unique hashtags to your Facebook posts to help increase the reach of your post(s) and conversations.